Halloween night with anime characters!! 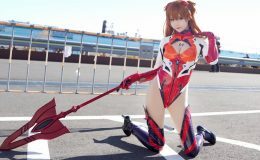 |A cosplay by anime characters?! Hi how’s everyone doing? How was your Halloween? I’ve been checking out many anime girls in Halloween costumes and enjoying them! Today I’ll be introducing what I personally thought was cool and cute so enjoy my thoughts!! These art works from great illustrators!! I’m going to start off with “Gyozanuko”(@gyozanuko) who drew this awesome art of double Ai’s from the anime “Ryuou no Oshigoto”! Gosh cute loli girls are just something else….. I totally love the disgusted face made by Ai it’s just so cute!! Next is MONO_Land(@monoland27)! 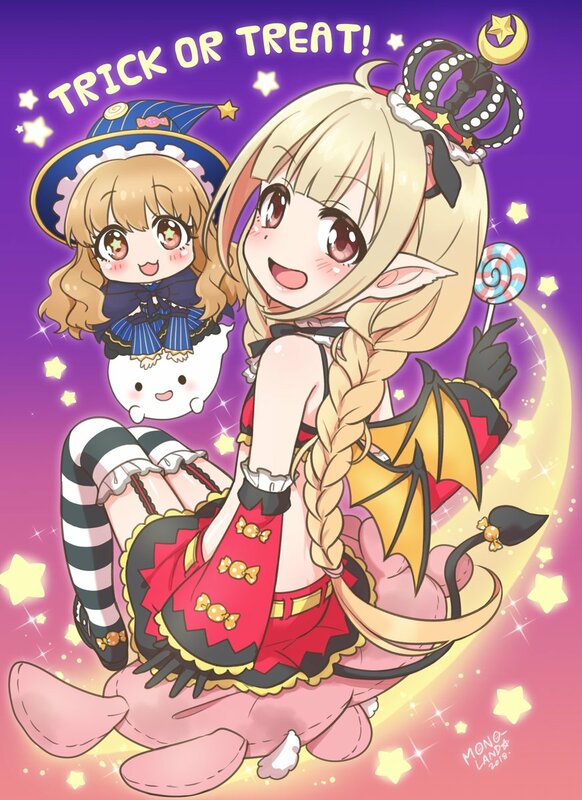 Ahh one of the best duo’s in Cinderella Girls, Anzu and Kirari with their devil costume! Now this is just cute isn’t it? Oh I’m going to definitely forgive Anzu whatever she does if she plays tricks on my with this outfit…so cute!! Next coming up is “Guchico”(@Guchico77)!! Just look at Shoebill from the anime “Kemono Friends”……she’s in a vampire costume!!! How cool can that be!! In my personal view, the reason why Shoebill fits the Dracula costume is because of her sharp cool eyes and the facial expression! Its such a match I really wouldn’t care of my blood being sucked by her…..maybe I could become a vampire as well!! 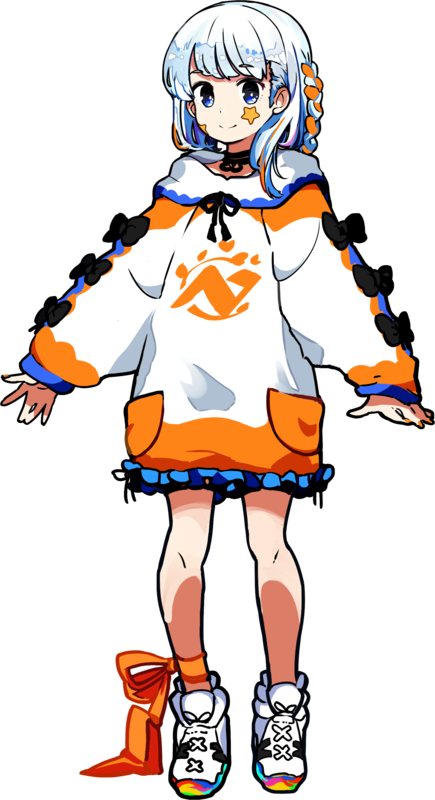 Next we got here is “Nogi Nazuna”(@Nazuna_a2)!! The same name as me!! This is Sakurako from the anime Yuru Yuri!! That anime was one of my favorite anime in history and even though I’m a fan of Kyoko, I gotta admit that this Sakurako is playing no games cause she is totally cute in that costume and with that facial expression!! This is the face that I’m talking about!! This is just too great!! The last artist I’ll be introducing is “Ninoude”(@ninoude1)!! 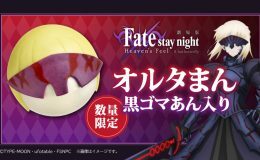 If you are a fan of FGO then this could be one of the best art works that you’ll enjoy!! 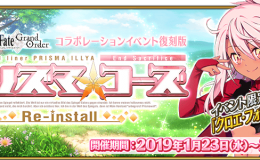 Eli with her witch costume and hat is just like super cute and makes me remember of the Halloween event from 3 years ago when she was summoned as a caster servant!! Ahh, that event was also great!! Thanks for reading this!! How was the girls in their cute Halloween costume? Outstanding? Ahh, then I’m more than glad that I was able to share this to you!! Halloween has ended but if you are interested in more of this kind of Halloween costumes with cute anime girls, then please go check the illustrators tweets!! After looking at these cute girls cosplaying, I kinda feel that I also want to cosplay for next Halloween!! What kind of costume should I wear?? If there’s any requests, please leave it in the comments!! Okay then, I’ll see you in my next article! !